As detailed in a previous post the Western Australian skilled migration occupation list (WASMOL) is currently operating under an interim list. The list includes only medical and health care occupations. If your occupation is on this list you may be considered for the Skilled Nominated (Subclass 190) Visa and the Skilled Regional (Provisional) (Subclass 489) Visa. As a starting point however, you should look at whether you are eligible for a Skilled Independent (Subclass 189) visa. As soon as we become aware of these changes we will publish them here and share them via Twitter. The Western Australia government has announced that their skilled migration list is currently under review. A new WASMOL will be issued when the review is finished. We will provide details about any changes when they become available. If you wish to apply of nomination by Western Australian now, you will need to apply under the current WASMOL . There has been two amendments made to the WASMOL recently. These are detailed below. If you intend to apply, or you are waiting for nomination, for these occupations you will not be approved. ANZSCO 141111 Cafe or Restaurant Manager. 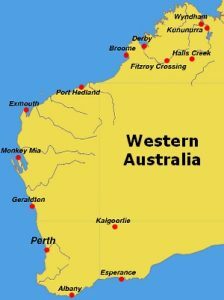 What are your Western Australia Nomination Options? If the changes effect you we would be happy to discuss your options with you. Your options are likely to be that you either wait for the new occupation list, consider alternate visas or look at other states/territories for nomination.